LAND OF ASHES, a collective expression of the Sri Lankan war and genocide, is not new to Pondicherry. 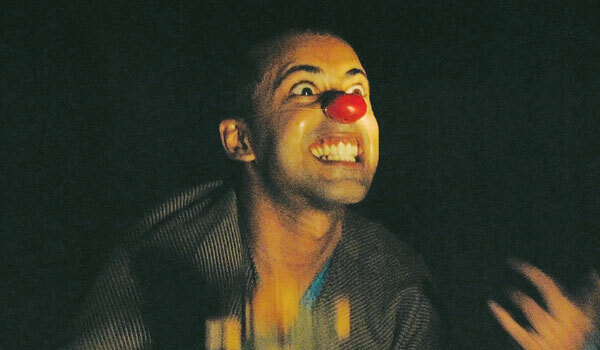 The play was last performed in 2011 by Indianostrum Theatre at the Kameleon festival. Vallavane Koumarane, the director and founder of the theatre group, is all set to revisit the play next month, with a mix of old and new actors. Busy with his annual 10-day workshop in Pondicherry,that will lead up to the production, Koumarane talks about the changes to the play and how he hopes Kalieaswari Srinivasan (last seen at Cannes 2015, where her Dheepan won the Palme da��Or) will join the team. Beginning with Kalari classes in the morning, the workshop includes reading excerpts from the play, and extensive brainstorming on the topic of a�?fighting backa��. Land of Ashes (written by Cordis Paldano, one of the theatre artistes along with Koumarane) has raised many eyebrows and applause all over the world and speaks about Flora, a prisoner in a German concentration camp who puts on a play for children using pieces of leftover bread. Using both mythology and a mise en scene by Tamil poet Karaikkal Ammaiyar, the play has been performed 45 times so far. Talking about relevance in todaya��s altered political backdrop, Koumarane says it was the recent out breaks in Sri Lanka and other parts of the world that made him bring back the play. a�?War as a subject is relevant at all times. In the end, we are talking of victims and their power to break free. We are exploring the emotions that would have run through the minds of the victims at such a time. I feel excited about re-visiting it, to bring Flora alive again,a�? says the 40 year old, who is also hoping to turn the play into a feature film next year. Koumarane is upbeat about what he refers to as the contemporary phase of Indian theatre. a�?I cana��t think of theatre in terms of production. I need an issue that makes me want to find answers a�� that is what contemporary theatre is all about, a burning issue that needs to be told.a�? Having recovered from the fire that broke out last year in their theatre in Pondicherry that ruined almost everything, he chooses to look at the tragedy positively. a�? The fire destroyed everything we had, right down to the props and costumes, but to me it was like starting over. It was that point in our journey where we had to unlearn and begin from scratch,a�? said the director who got back on his feet with plays such as Kunti Karna and Karuppu last year. Next up, he hopes to tap into older local art forms like the Tamil-Koothu.